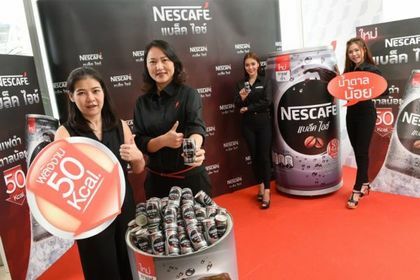 Nestle (Thai) Ltd is promoting safe driving in the year-end festive period with a plan to hand out Nescafe Black Ice to more than 200,000 drivers at 17 key locations including highway and expressway service points, as well as to passengers at bus terminals and train stations, from December 28 until December 30, 2017. 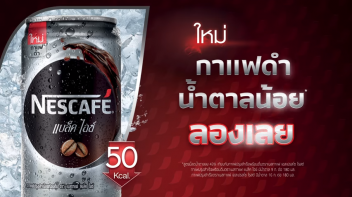 Nescafe Black Ice (ตรา เนสกาแฟ แบล็ค ไอซ์) in 180ml is the first RTD coffee to have the Healthier Choice logo in Thailand. Click here to access the list of products with the logo. The requirement for instant coffee is that the total sugar should be ≤6 g / 100 ml. Click here for the guideline. In addition to the Healthier Choice logo, Nescafe Black Ice, when debuted in Thailand in March 2017, was described as having a strong and distinctive flavor of black coffee. Plus, it is lower sugar and contains only 50 Kcal for health-conscious coffee lovers. The image above comes from the company’s press release on Thaipr.net. In Malaysia, the same Nescafe Black Ice comes with a different marketing message. The focus is on the icy cool taste. The Black Ice variant was launched around September 2017. 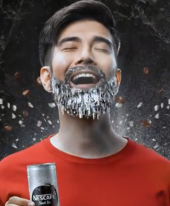 Even though Black Ice has the lowest energy and sugar among all Nescafe RTD coffee with the exception of Kopi O, this was not stressed in the marketing message. 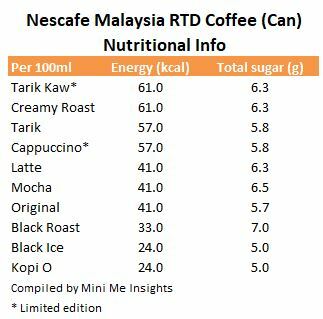 Nescafe Black Ice also meets the Malaysian health department’s Healthier Choice logo requirement of ≤6 g / 100 ml of total sugar for coffee drink but there is still no HCL logo for this RTD coffee. 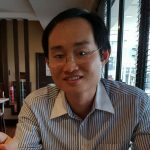 The marketing of Nescafe Black Ice in Thailand and Malaysia shows the significant difference in product marketing in both countries. Taste is paramount in Malaysia and that is why the focus is on the icy cool taste. In Thailand, the healthy credential is more important and this is accompanied by the application for the Healthier Choice logo and the focus on 50 kcal as a unique selling point.